The Fun on the Farm Block Party originally started from a local San Diego County Shop Hop theme. For the event, Orion's rented a family of sheep, a mother and son duo. He set up a petting zoo in front of the store and two barns to the rear of the warehouse. Each morning, the staff would herd the sheep from the barn to the front corral. Sometimes this task was a bit challenging. The easiest way to transport them was to pick up the smaller boy sheep and the mother would follow. His coat was a bit dirty and always matted with hay so we affectionately called him Matt. 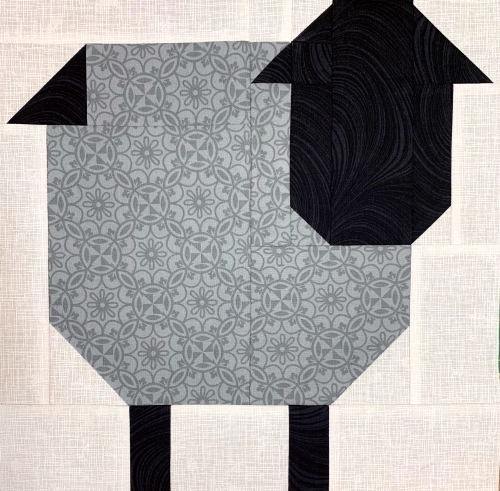 I dedicate this block to Matt the sheep that welcomed quilters for a week at our Quilt in a Day store in San Marcos. 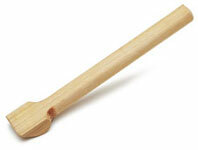 The block is designed for easy assembly and requires only three fabrics. 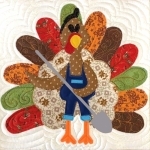 Kit includes color step by step pattern and fabric to complete one 12" finished block for only $5.00. 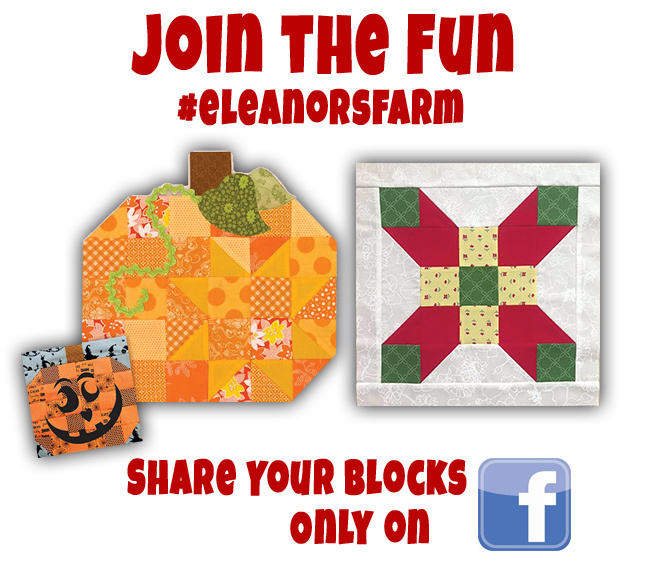 It's not too late to join Eleanor and her Quilt in a Day friend for some Fun on the Farm, during her FREE 12-month Block Party! 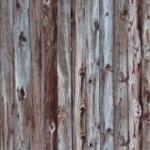 Each month we will post a pattern for a Fun New Block. It's not too late to collect them all. Block and finishing kits will be available for purchase. Simply download the block patterns, make your blocks. Get social with us! SHARE, LIKE and FOLLOW! 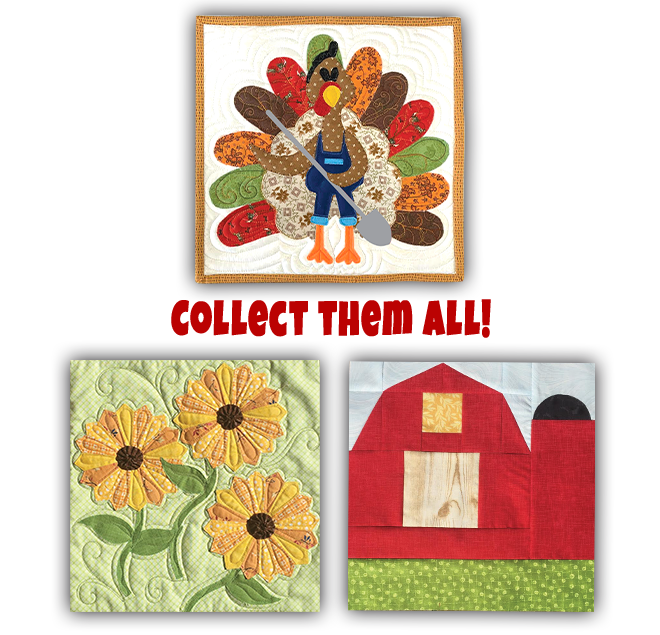 If you are on Facebook join our Fun on the Farm with Quilt in a Day Facebook Group!